Public consultation on the policy liberalisation of .ie domains has now closed. The public consultation on the proposal to remove the claim the name launched on 28 August 2017, and concluded on 30 September 2017. Thank you for sharing your recommendations. 117 responses were received during the process. 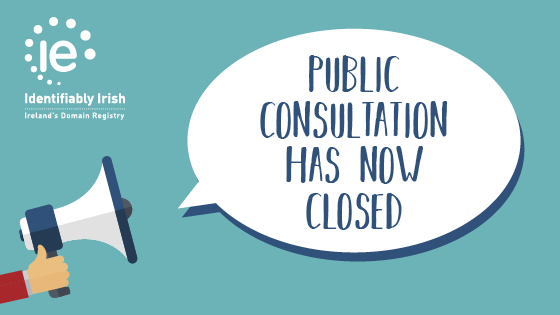 A formal response statement from the Policy Advisory Committee Working Group (PAC WG) on the results of the Public Consultation is available here. This statement provides details of the responses received during the Public Consultation process; the themes raised by respondents; and the PAC WG commentary on each theme. 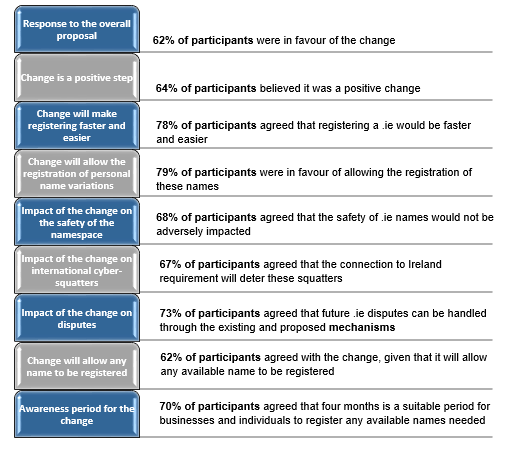 We now have consensus from the public and industry stakeholders for the change. The IEDR Board of Directors has considered the recommendation of the PAC and has formally approved the implementation of this change, concluding the review of this proposal in line with the dot ie 10-step Policy Development Process. It’s never been easier and faster to register a .ie online address. Read our short guide on why you should choose a .ie and how to register one.